The author and publisher of this Blog (jl scott) and the accompanying resources and materials have used their best efforts in preparing this Blog. The author and publisher make no representation or warranties with respect to the accuracy, applicability, fitness, or completeness of the contents of this Blog. The information contained in this Blog is strictly for educational and informational purposes. Therefore, if you wish to apply ideas contained in this Blog, you take full responsibility for your actions. We accept no responsibility for your use of any contributed information contained herein. All of the information presented in the Online Business Trade Journal™ is published in good faith. Any comments stated in this newsletter are strictly the opinion of the writer or publisher. The author and publisher of Online Business Trade Journal™ disclaim any warranties (express or implied), merchantability, or fitness of materials expressed for any particular purpose. The author and publisher shall in no event be held liable to any party for any direct, indirect, punitive, special, incidental or other consequential damages arising directly or indirectly from any use of this material, which is provided as is, and without warranties. As per mandates from FEDERAL TRADE COMMISSION, 16 CFR Part 255 - Guides Concerning the Use of Endorsements and Testimonials in Advertising, the purpose of this document is to establish the possible compensatory affiliation with Online Business Trade Journal™ and Any Testimonialists or Endorsers found on the pages of our site. 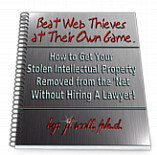 This Copyrighted Document Was Produced Using AutoWebLaw and may not be duplicated in any way without a valid AutoWebLaw Personal Use license. Any unlicensed use of this document will result in prosecution!